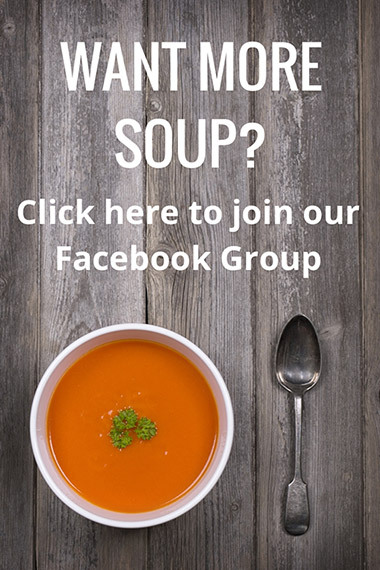 Recipe #21 is a question that was asked by Peter Bartolomy in the Divi Facebook groups. At the time I was going through my Evernote looking for an idea for my next recipe and that post jumped out at me as it was something I thought a decent header should be able to do without the need for an extra plugin. Most people will use Slider Revolution or similar to achieve this effect but Peter wanted a solution without a plugin so as ever, the need to solve the problem took over ;). Peter was trying to implement the effect from this Codepen and whilst I have changed the code quite substantially, that was my starting point. The main difficulty with implementing this effect on the Divi fullwidth header is that it needs to be added to the background image, and the background image does not have a CSS class or a box in the module’s custom CSS tab to add code so the usual solution would be JS or PHP, but I wanted to do it with just CSS. You can view the demo here which is on loop so you can see the effect without having to reload the page, but the code in the recipe stops the effect when it is finished. An suitable image sized at 1920 x 1200px. The first thing we need to do is set up our section. 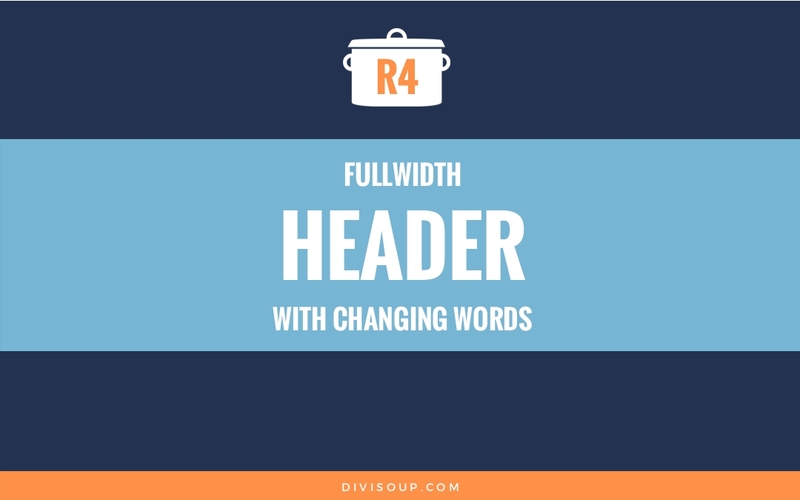 So add a new fullwidth section and then add the fullwidth header module. 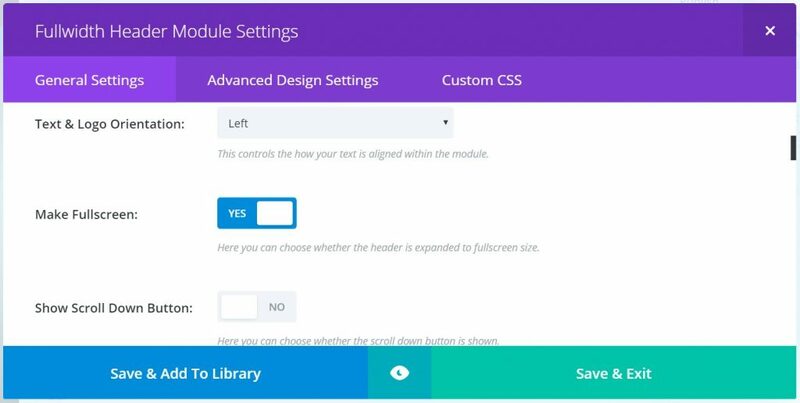 Open the module settings and click on the Custom CSS tab, give the module a CSS Class of ds-kenburns-header. 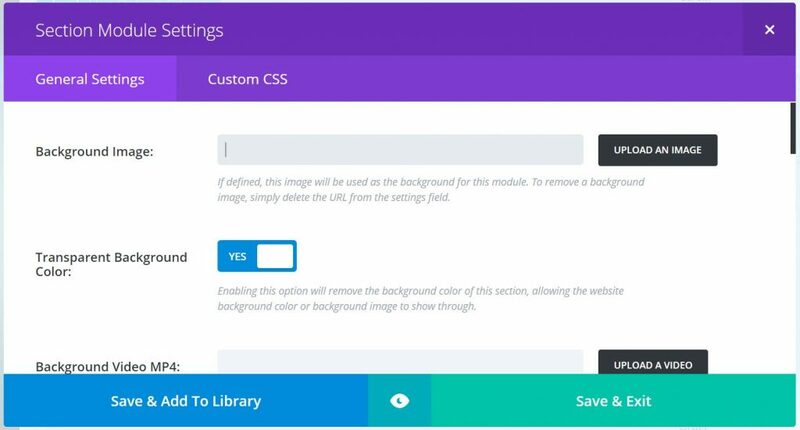 In the General Settings tab, set Make Fullscreen to Yes, then add your title, subtitle and buttons and any other settings you want but DO NOT add a background image, we are going to do this with CSS. Then Save & Exit. The final thing we need to do with the header is to open the section settings and set the Transparent Background Color option to Yes, this is very important as without doing this you won’t see your image. The only other thing we have to do to get this effect working is to add the CSS. So copy and paste the code below into your child theme stylesheet or your Divi Options custom CSS Box. Then we are scaling the size of the image and moving it a little using keyframes to create the zoom and pan which is the Ken Burns effect. Check the comments in the CSS to see which values you might want to change to achieve the movement which best suits your chosen image. You’re the best!!! You need a link with a tip jar on the bottom of all your pages. Thank you for all that you do – for free! Please email me a link to the jar if you have one – you’ve earned it! 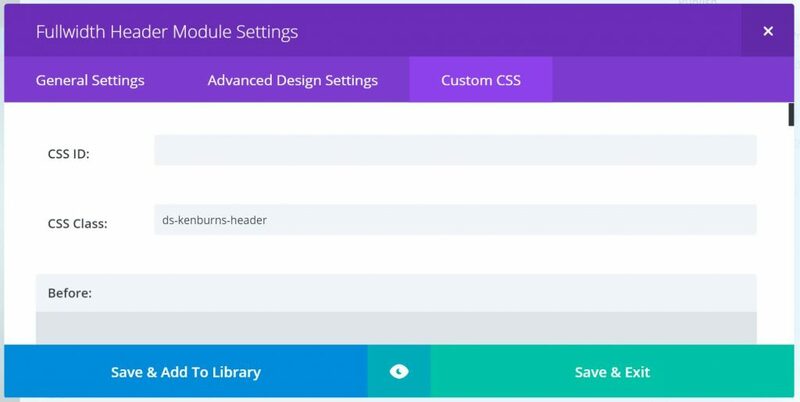 The CSS is correct – WordPress does not recognize all CSS, so you will need to override that at the bottom of the stylesheet or you can place it in Divi > Theme Options > General > Custom CSS. There is also a current bug in Div with section background colors, so you will need to do that manually by setting the color and dragging the opacity option to the bottom to create the transparency. How to loop the kenburns effect? 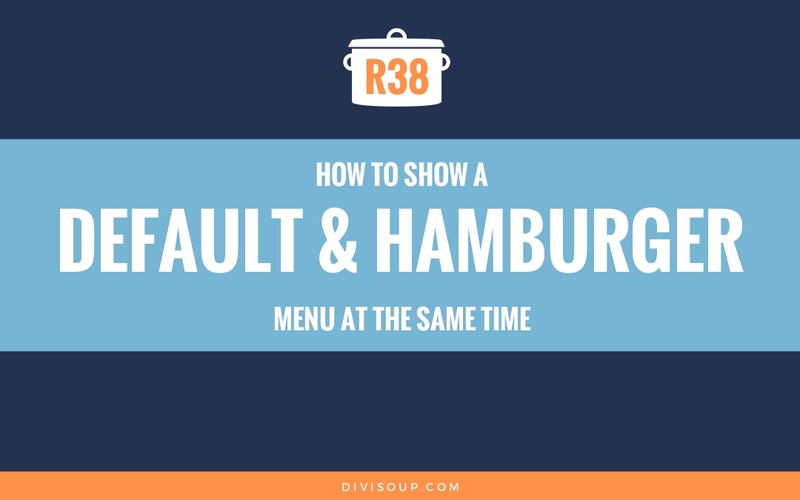 It’s not working: no image showing,even if replaced with file from the media folder… New version of Divi 3.0.89) indicates an error in the CSS: 0 instead of an o. Not when following the tut nor downloading and installing from the zip. Unable to replicate the problem. Please check your code again. Transparent Background Color option is missing in latest Divi. So, how can I set the transparent color of the background? Michelle I have slid those sliders all over and can’t get it to show the image. I even put in the hex code #ffffff00. Any ideas as to what I am doing wrong? Wish Divi would’ve kept that option for transparency. how can I use this with video background? Hi Michelle, amazing effect and thank you for the tutorial. I’d like to know if possible to change into fullwidth-header every few seconds the background image… maybe two, three or four images. 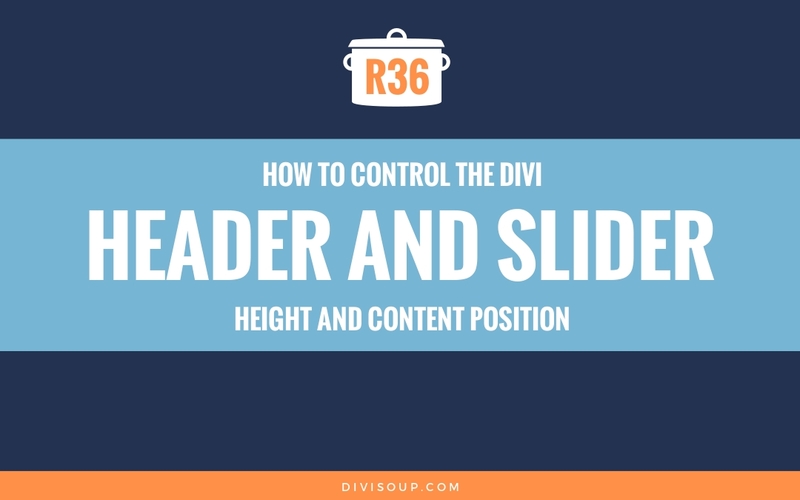 Can you apply this effect to individual slides within a slider? Can this be accomplished on individual slides using the slider module? Would the be an easy way to adjust the height of the header? Maybe only 400px. Thanks! I’ve been waiting for this for ages. I tried it with CSS but never achieved the result I wanted. Can’t wait to try it. Awesome method… thanks! 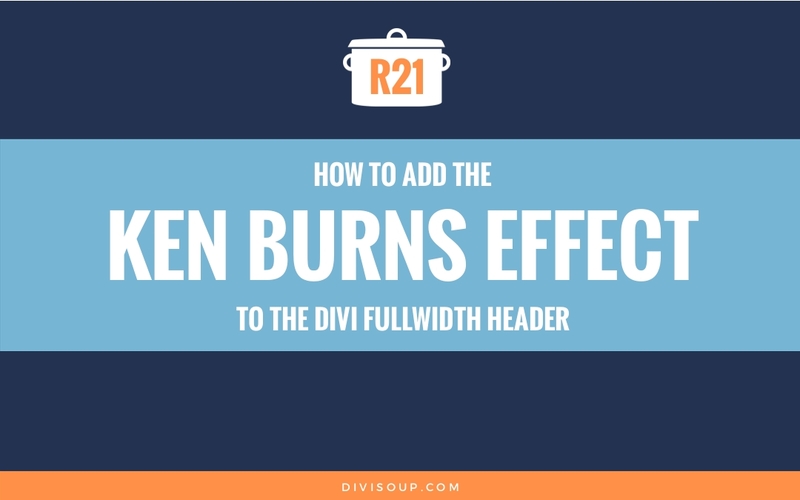 Has the code ever been posted to accomplish the Ken Burns Effect with DIVI Slider or Full-Width Slider module? Hey Tom, not yet. I have it almost done but the issue is that background images don’t have their own class so targetting them is difficult. I only have one bug to fix in it so when I have the time I will take another look. I wrote that it doesn’t work with Chrome, but now it works just fine. Thank you very much for this tutorial, I’ve spend long hours looking for a solution like that! Great job! I’ve tried it with Chrome and it doesn’t work. Besides that it’s amazing! Michelle Hi! Thank you for all the amazing things you sharing with us! This is also a very nice tutorial. Only one question. The header in my site http://www.f-it.gr looks ok on FF and CH but in IE it going all the way up. Is this something I can fix? Thanks for the code – great to be able to have some movement without a video. For looping, I found this worked – ‘alternate infinite’ – in place of ‘ease forwards’. Thanks for the tutorial, but the FX It doesn’t work on my Firefox. Can you help me? Thanks! I’ve managed to adapt this to a full width slider module too. Wonderful, thanks Raj you have saved me two jobs I can now cross off my to-do list . Can you post the slider code for everyone please? Have we managed to get the code for the full width slider as well? I would love to be able to use this feature for multiple banner images. Thanks so much for doing a great job! You’re awesome! Is there an example of this available? I’m trying to do the same thing and have hit a snag. Thanks! This is awesome, unfortunately it’s not all internet browsers friendly as already stated above. I hope this is getting fixed soon. These guys did it really well and very smooth. I totally feel you! If I could I would send you some extra time…. Got the same over here, that is why I’m gonna end this reply with: can someone show me the adjustments to make the effect in a loop to keep it going back and forward just like the link above? 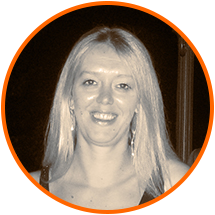 Cheers and keep up to awesome work, Michelle! 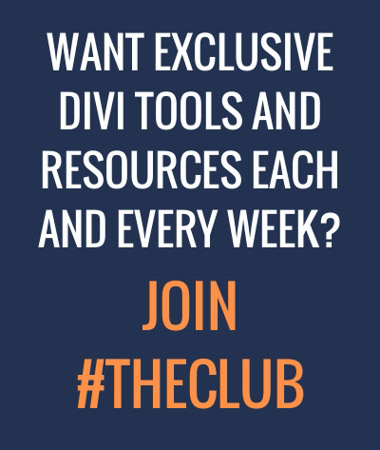 It sure does make a difference in the Divi community. When I turned off my child theme and went back to straight Divi theme the problem was rectified …. but darned if I can find that black overlay in my child theme. I know the issue has nothing to do with your CSS or effect, just thought you might have an idea where I can hunt for the culprit! Thanks in advance Michelle! Do you have a link please Bruce? Love this effect, but have tried it on my site that I am practicing on and am getting what appears to be a black overlay on my image and am not sure where it is coming from??? The demo page does not seem to load for me – tried 3 different browsers – the page loads but the stylesheet is not rendered and I just see text – are you seeing this? Oh Michelle, this is just fabulous. Once again you deliver something great, and once again it is accessible to bandwidth-challenged people in rural Australia. Thank you so much. I’m going to use this today! Thank you very much for the tutorial, Michelle! This is great! Thank you! I really like how you explain what each part the CSS code does. That is an excellent tip/ recipe. I’ve always wondered how that effect was achieved. At first glance it seems like a video … made in camtasia studio or something. CSS only. Nice? I particularly like the way you’ve highlighted the page specific CSS area to add the code … so that it doesn’t apply to every page when not needed. Thanks for the effort. 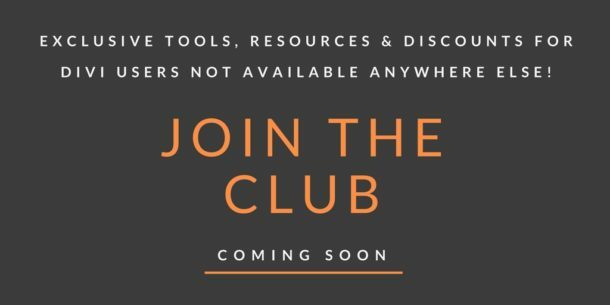 In this world of mass Divi information … nice to see a unique and differentiated tip. OMG, this is brilliant and easy to implement! Another brilliant tutorial Michelle. Thanks a ton! Thank you for this effect. Unfortunately it doesn’t work with Firefox so if you “sell” this effect to a client, you need to find an alternative for FF. Perfect Michelle, thanks so much for this recipe. You are truly brilliant! I dont know about that Jeff but thank you! that’s great idea. I like very clear instructions. It works perfect. Thank you. Absolutely awesome. I just went through your tutorial. What an excellent way to avoid using Slider Revolution to achieve this effect. Thank you so much for sharing your tips and tricks! thank you for the tutorial. I’m going to give it a go as the effect is very subtle and impressive. (Had to look up what the Ken Burns effect was so learnt two things at one! ).